Small antique bronze nailheads line the deep walnut stained frame of this high-backed wing chair. Neutral taupe-gray cotton contrasts the frame in a textured stonewashed effect, with a coordinating slubbed taupe on the outside, under a dramatic exposed ladder back design. 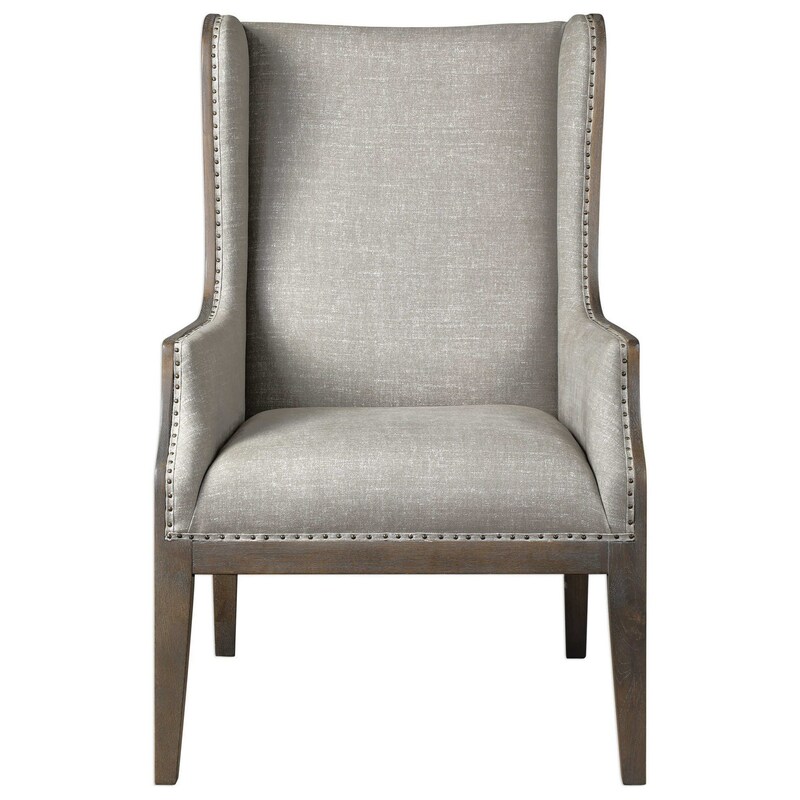 The Accent Furniture - Accent Chairs Florent Wing-Back Armchair with Nailhead Trim by Uttermost at Great American Home Store in the Memphis, TN, Southaven, MS area. Product availability may vary. Contact us for the most current availability on this product. Browse other items in the Accent Furniture - Accent Chairs collection from Great American Home Store in the Memphis, TN, Southaven, MS area.